Front entrance facing Showalter Fountain is fully accessible. Please note that the galleries and Reading Room observe different opening times. 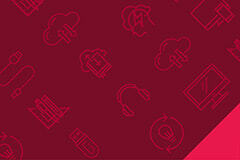 See "All Hours" for details. The Lilly Library’s collection of sixteenth-century Mexican imprints is a remarkable resource for the study of the development of the press in the New World. Display of items celebrating the lives of two women whose collections are now part of the Lilly Library. 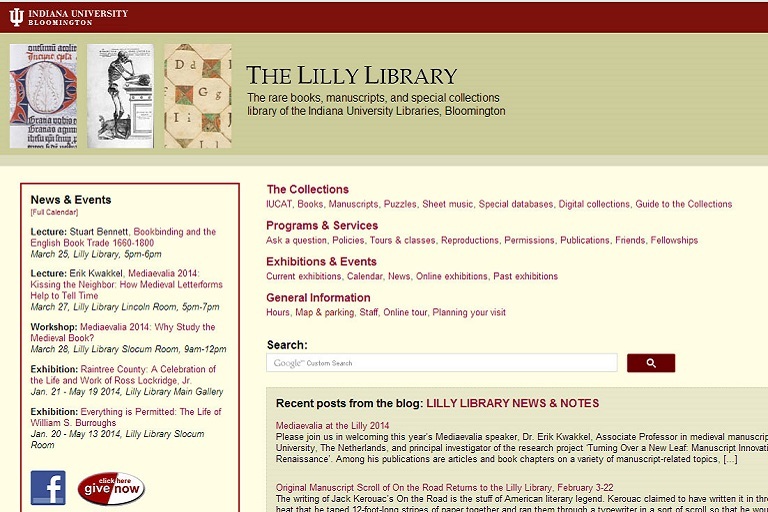 Register online to place requests electronically through IUCAT and Archives Online for Lilly Library materials to be used in the reading room, or to order reproductions. 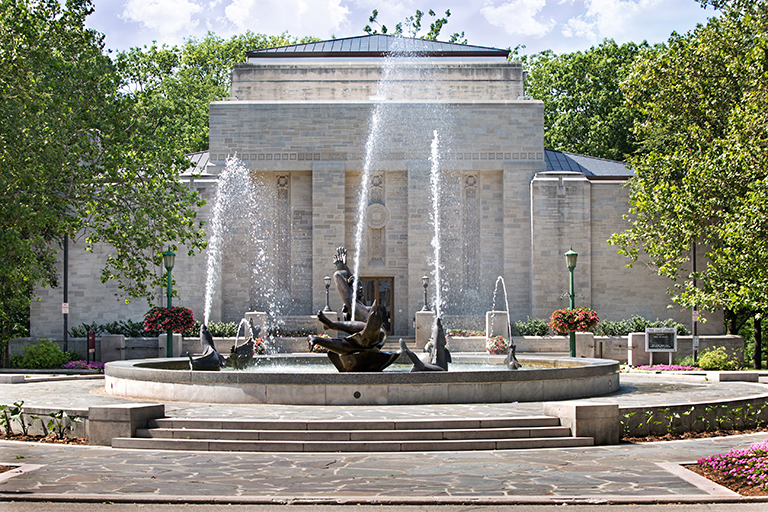 At the Lilly Library, knowledge is our treasure and we have spent the last half century collecting it for you. 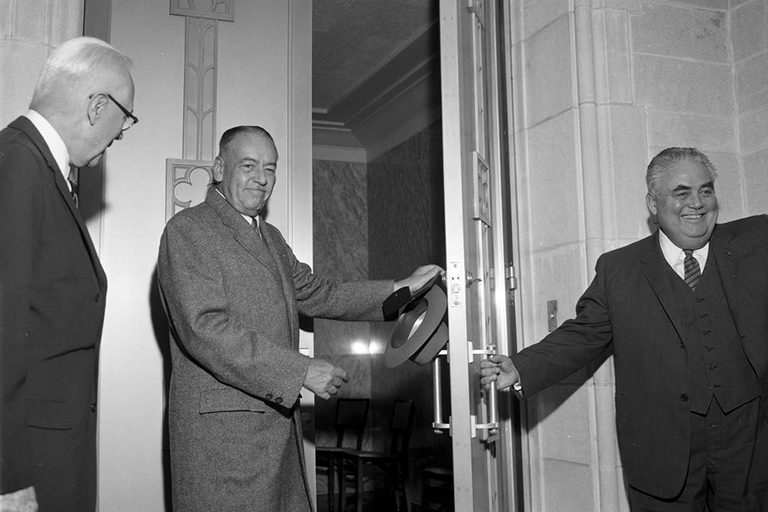 Give now and join the Friends of the Lilly Library! Indiana University President Michael A. McRobbie announced April 1 that Lilly Endowment Inc. has awarded the Indiana University Foundation a $10.9 million grant to support renovation of the university’s internationally renowned IU Lilly Library.